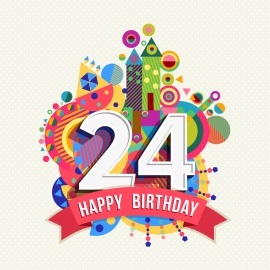 Time flies as today we already celebrate the 24th birthday of Delphi. The past 24 years have been an amazing, adventurous and always exciting voyage! 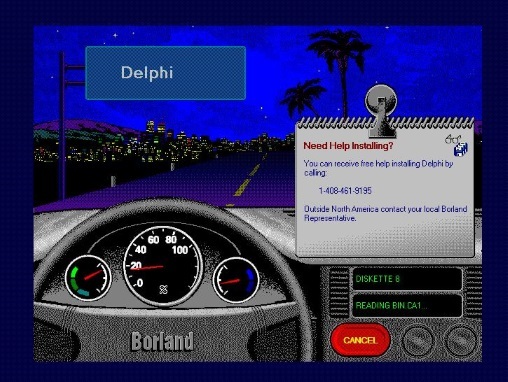 Looking back at 1995, Delphi was nothing short of a dramatic breakthrough in productivity for software development. Before, I still remember that creating a Windows application created with Turbo Pascal for Windows also required having the Resource Workshop tool ready. We'd typically create dialogs and other resources via the Resource Workshop. And then came the tedious process of linking the UI control logic to the elements on the dialog via IDs. One mismatching ID and the dialog would be broken. Other than this, we merely had to use the Windows API to achieve even the smallest UI feature. Then came Delphi. No more need for Resource Workshop. Direct usage of the Windows API could be dramatically decreased as Delphi introduced the integrated form designer and more importantly the UI control model mapping on existing Windows controls but also open to extend and create custom controls, seamless binding to a database and even live design-time data. In a nutshell, us, Pascal developers could create Windows applications 10 times faster with 10 times more features. In a fast moving and ever changing technology landscape, one could wonder why someone can have this passionate relationship with Delphi? For a change, let's try to find an analogy with real estate instead of with cars :) The three most important things when looking for real estate are: "Location, Location, Location". 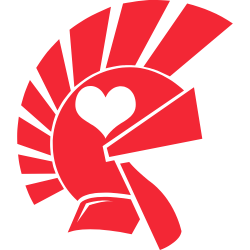 There are of course many more virtues to the Delphi language, IDE and ecosystem and things to be passionate about. Backwards compatibility is one such example and a natural, expressive non-cryptic language is another one. Very fast compile times to facilitate quick debug cycles. The list goes on. Let us know your most loved Delphi features! In these 24 years, TMS software evolved along with Delphi also quite a bit. Where in 1995, it was just "me, myself and I" encapsulating code in components initialy mainly for reuse in my own consulting projects, TMS has grown into a unique and fantastic team I am truly proud of! Nothing is more fun than brainstorming with like-minded enthusiast experts about how we could make the Delphi developers even more product or reach into new territories. With every new introduced technology in Delphi, we jumped on the wagon and created components for it. Yes, back in the days, we even had our grid working in Kylix and also for Delphi for .NET . More succesful projects were the creation of a suite of UI controls for IntraWeb, the first FireMonkey components on the market for cross platform development, the leading Delphi ORM Aurelius, the REST server technology via XData, ... the list is endless. Last year we introduced a new framework for developing in a really RAD way from the Delphi IDE rich & modern web client applications using our beloved language with TMS WEB Core. This goes hand in hand with our FNC UI control developments enabling to use one set of UI controls not only in VCL, FMX, LCL applications but also for TMS WEB Core web applications. And for the backend of the web applications, this integrates nicely and smoothly with our TMS XData REST server technology. But it is not all new technology all the time. We continue to take great care, enhance, extend, improve and polish very widely used flagship products like TMS Component Pack, our set of over 400 VCL UI components that saw its life back in 1998. Especially for the birthday of Delphi today, we released an update 9.0.4.0 with all latest improvements. Of course, active registered users get this update free, for users with an expired subscription we have discounts to renew and for new users we have this week a 20% discount! See our other blog post for details! Have a great Delphi Birthday today! Congratulations on the beautiful work of the company and the team.